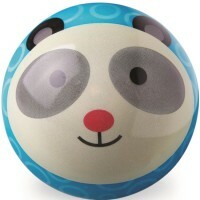 Play your favorite ball game with this globe inflatable ball and learn geography at the same time. 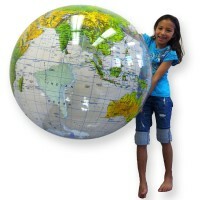 Your kids will go global with our bright and colorful 12 Inches Inflatable World Globe Ball by Learning Resources. 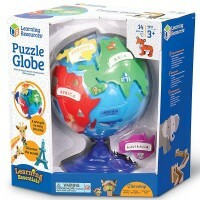 Play your favorite ball game and learn geography at the same time! 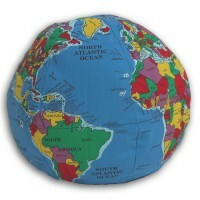 The world map beach ball features oceans, continents, countries and capitals. 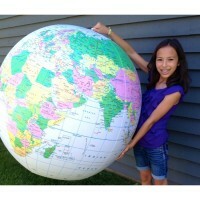 This fun inflatable globe even has lines of latitude and longitude! 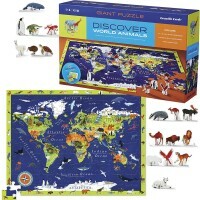 The world is literally at your fingertips! 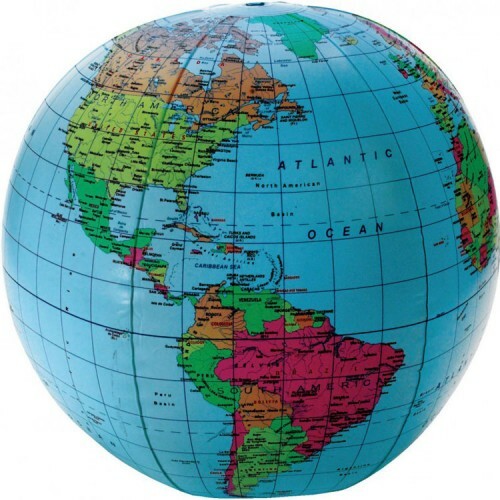 Have fun with this ball on the beach or at the party, enjoy studying world geography, or quiz your friends in geography with its help- these and many more activity ideas are included in the ball kit. 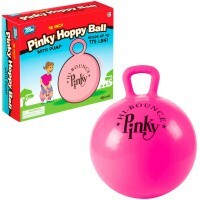 The inflatable ball set from Educational Toys Planet comes with the repair supplies, and tab for hanging the ball if you like to use it as room decor item. 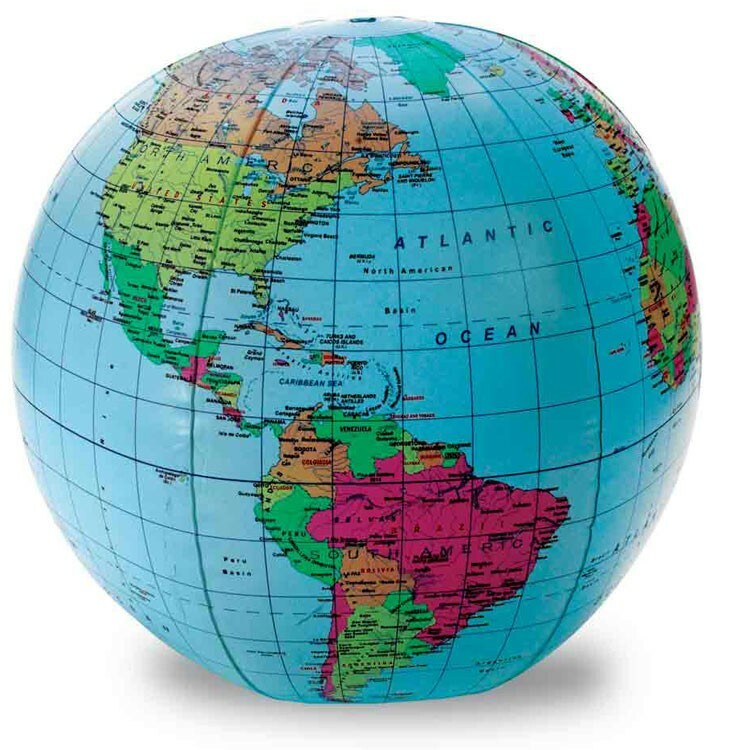 12 Inches Inflatable World Globe Ball presents great value! 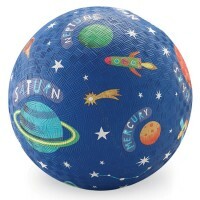 Dimensions of package 7.52" x 5.79" x 0.51"
Write your own review of 12 Inches Inflatable World Globe Ball. Rating: 3 by Miriam, AR Nice globe. 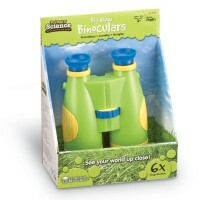 Wish it came in a slightly bigger size. 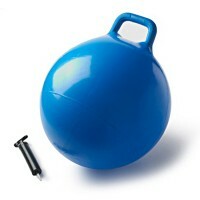 Something more like a beach ball.